Strategic planning is essential to any institutional organization to define its direction and decision-making objectives. It’s a systematic approach of anticipating a desired goal and translating it into a principally defined objective and a series of programs designed to achieve such purpose. Strategic plan initiatives are an integral part of strategic management. Both in turn require strategic thinking to achieve the desired goals. 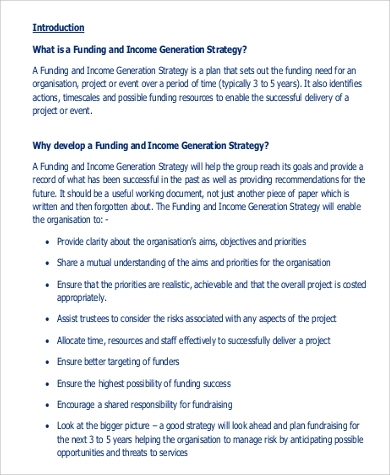 Our Sample Plans for strategic planning is based on a couple of examples that cover almost every field, from business to fund-raising initiatives. 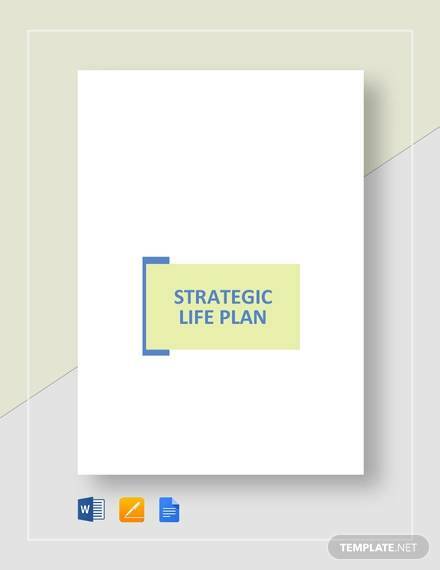 These are all free to download and come with definitions, objectives, and general strategic approach to guide users in formulating their own strategic plans useful for whatever purpose they may serve. Strategic planning may be a broad concept, but basically it requires setting the goals, determining what kind of action is needed to achieve such goals, and utilizing all available resources to achieve the goals. Strategy can either be planned or observed in a couple of activities designed for any organization to adapt to its environment or compete against it. 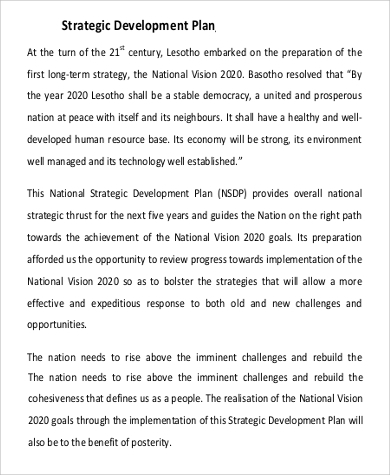 The process of formulation and and implementation are essential actions for strategic planning as control mechanisms in guiding the implementation of any strategy. 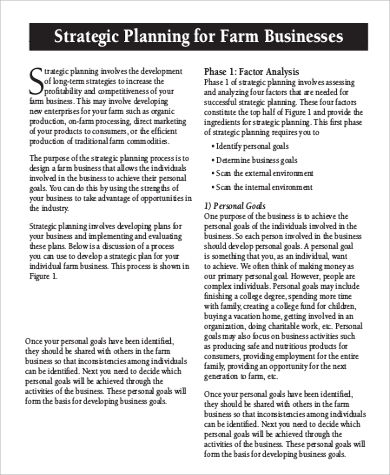 Business Strategic Plans – designed to increase profitability and competitiveness of a business enterprise. Used to highlight the strengths and weaknesses of a company, examining the external and internal environment of the business and find out which aspect and best approach to achieve the goals. 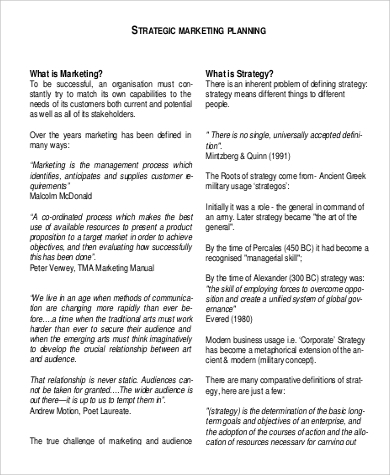 Strategic Marketing Plan – used for identifying, anticipating, and supplying requirements in a coordinated process of making the best use out of available resources. It can be used for product experiments on a target market to study and achieve sales objectives. Used also to find out how successful the product is through a follow-on evaluation of the results of the experiment. 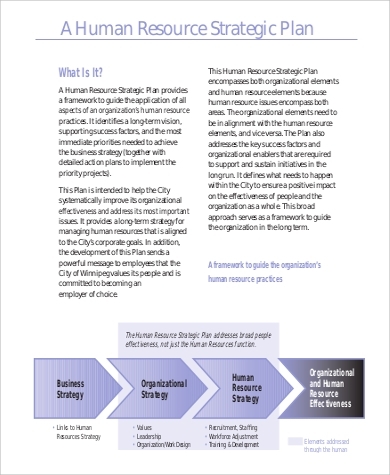 Strategic Human Resources Plan – used to systematically improve organizational effectiveness. It uses a framework to monitor all the aspects of an organization’s human resource practices to identify immediate priorities needed to achieve business strategies and detailed action plans to implement priority projects. 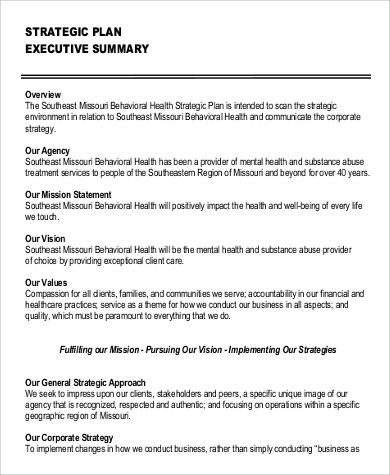 The overall purpose of the plan is to ensure the effectiveness of both people and organization as a whole. Our Marketing Plan Outline Samples and Strategic Plan Samples will further guide you on how best to apply strategies based on your organization’s needs and the plans needed to achieve your goals. 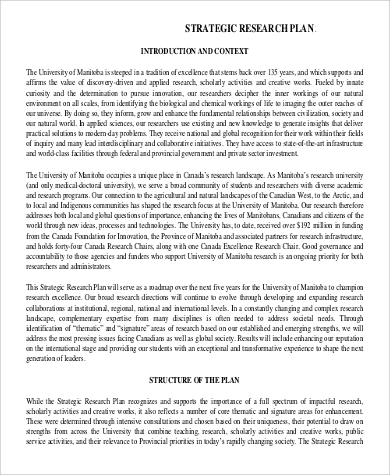 These are all free to download and print in both Word Doc and PDF files. Strategic planning needs to produce a positive outcome in order to be effective. Most outcomes inevitably differ from the strategic goals due to some unplanned circumstances or problems that usually crop up during the implementation part of the plan. How the outcome is close enough to the goals and visions anticipated will determine the success or failure of the strategic plan. While there are different organizational teams to fully implement a strategic plan, everyone must be able to understand that strategy development and execution are a learning process with which members must learn from each positive or negative outcome and adapt accordingly. 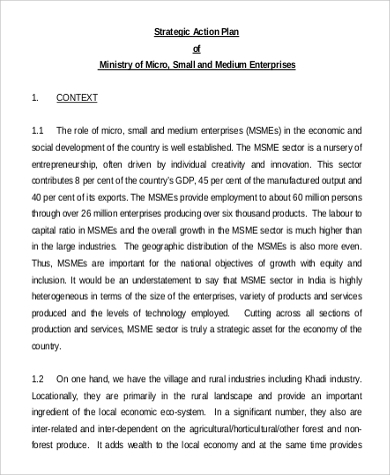 Our Business Plan Samples in Word are free to download and edit using Microsoft Word tools for ease of modification. 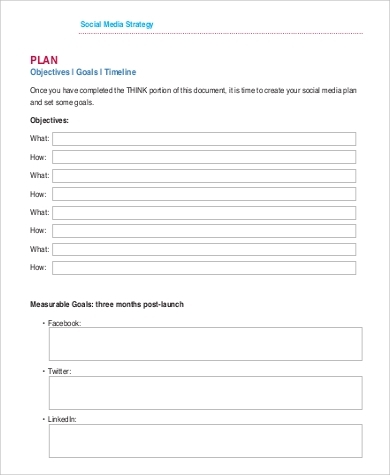 These come with a summary of goals and tasks to be achieved and can be edited according to users’ specific objectives.